Sunrise today was 7:23 am. 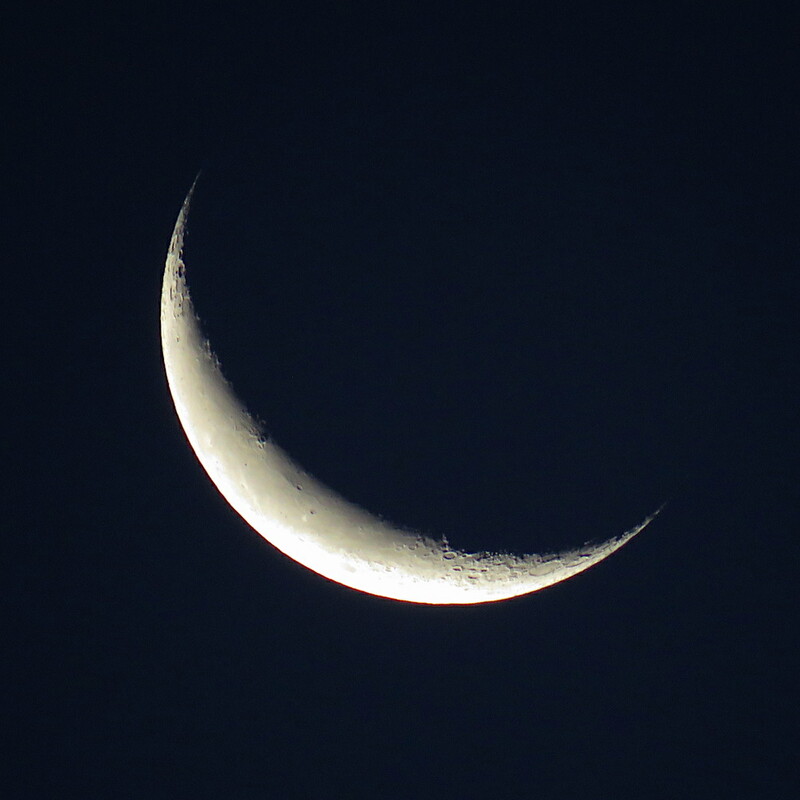 At 6:49 am, the Moon was barely above the eastern horizon, presenting a narrow sliver of reflected light. 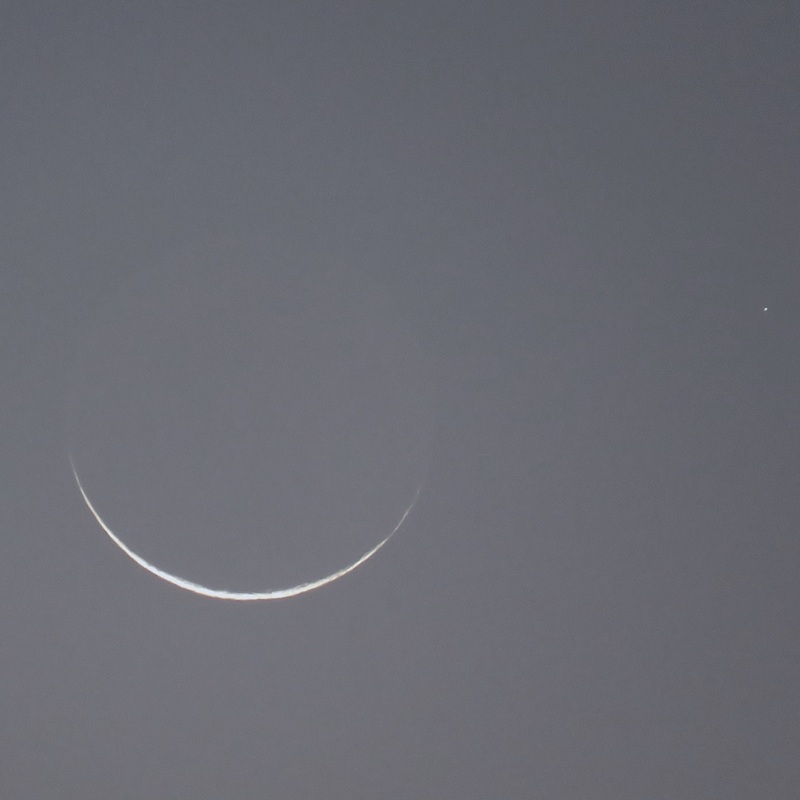 Earthshine lit the rest of the Moon faintly. A wider view showed the star Porrima, goddess of prophecy, watching the proceedings nearby. 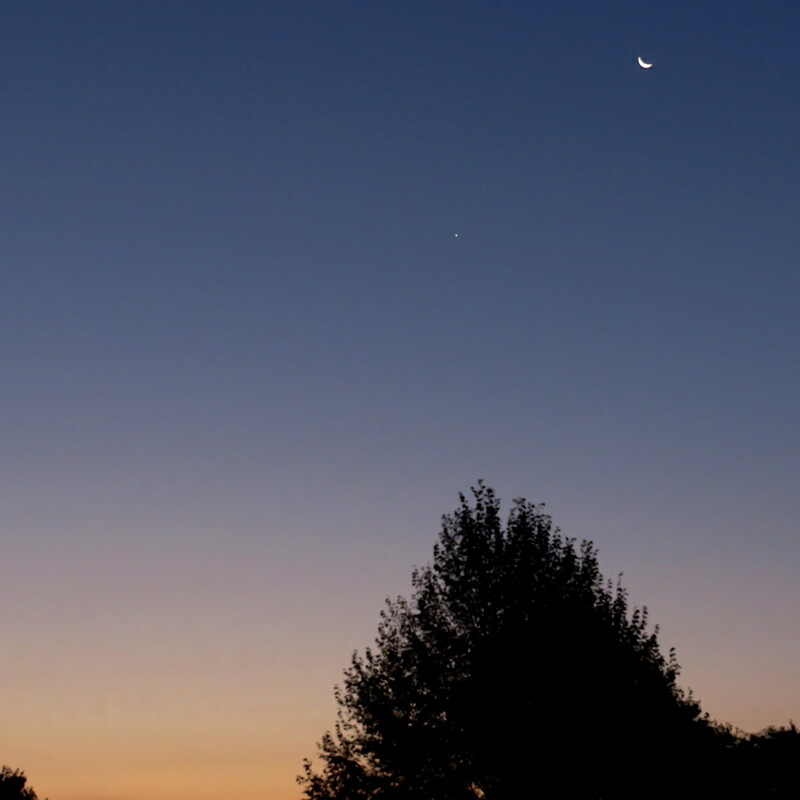 Venus has been gracing the morning pre-dawn sky for several weeks. It raced past Earth in its orbit around the Sun and is receding from us quickly. It will pass behind the Sun early in 2018 before emerging as an evening apparition. 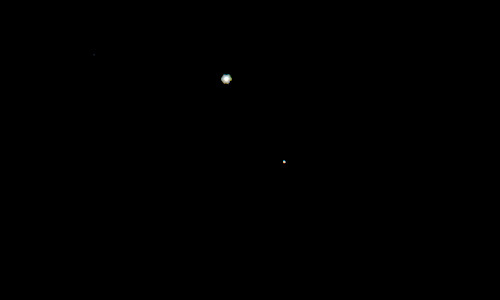 Mars is positioned farther away from us than Venus and nearly along the same line of sight. 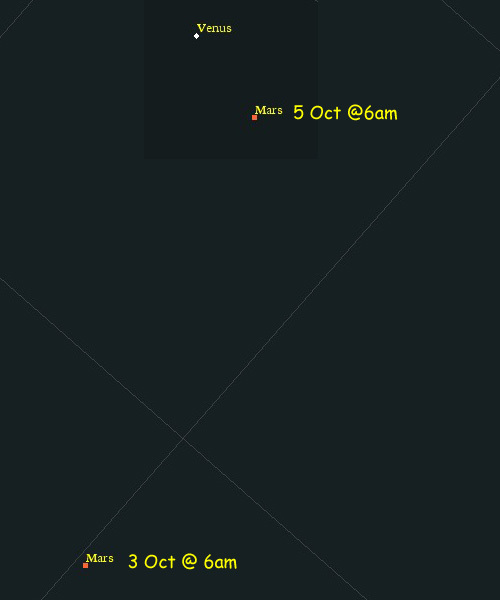 On 5 October, early morning risers can see the two nearest to each other. Look at about 6 am low in the eastern sky on a clear morning. 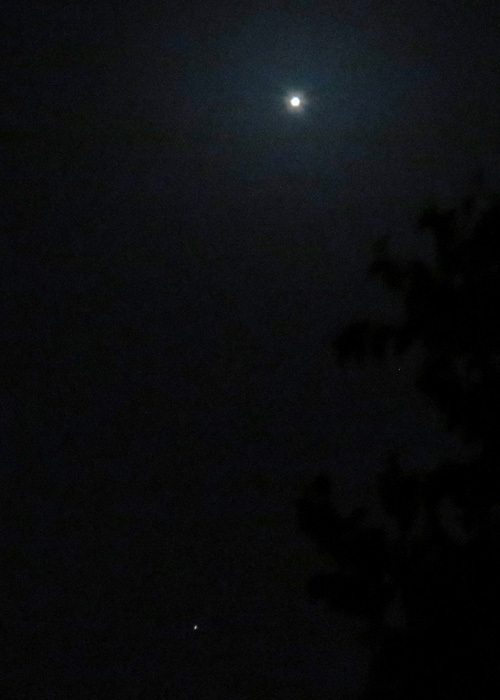 Binoculars will help spot dim Mars. It appears we will suffer from cloudy skies here in the midwest. 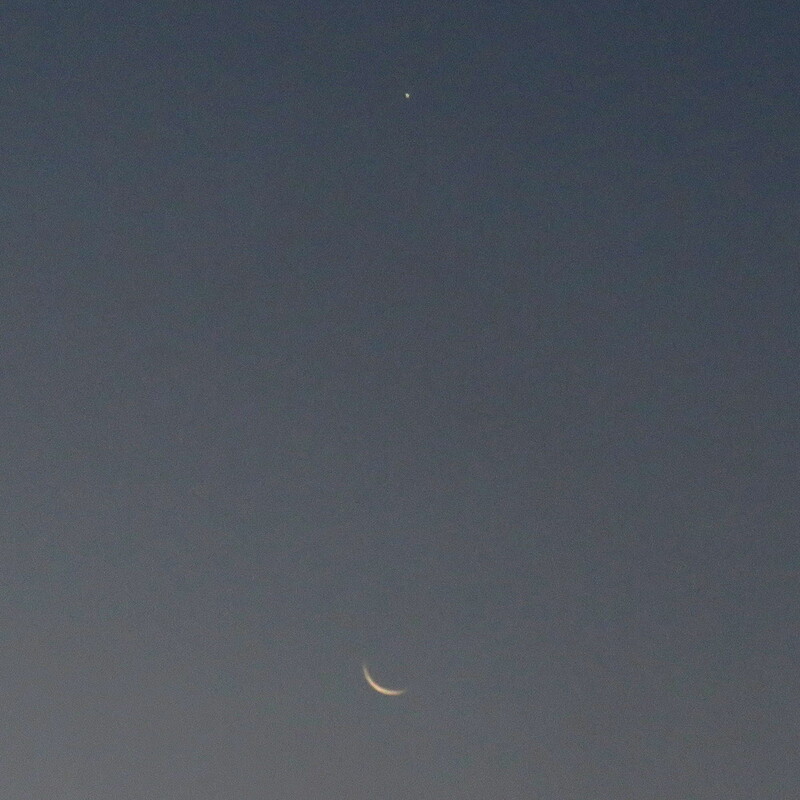 This morning I was up early and looked for Venus. It was hidden by low clouds to the east. 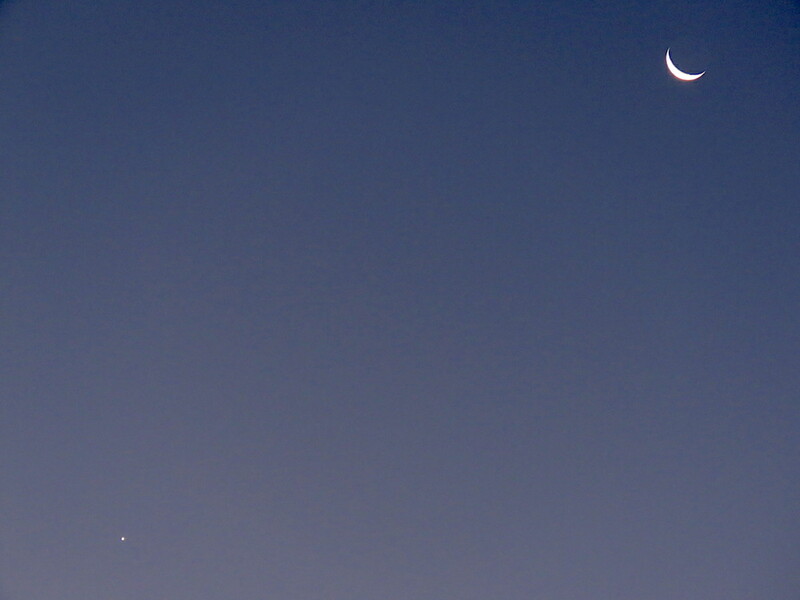 I waited and was able to see both Venus and Mars emerge from the clouds. Notice the faint outline of a tree on the right side of the image. 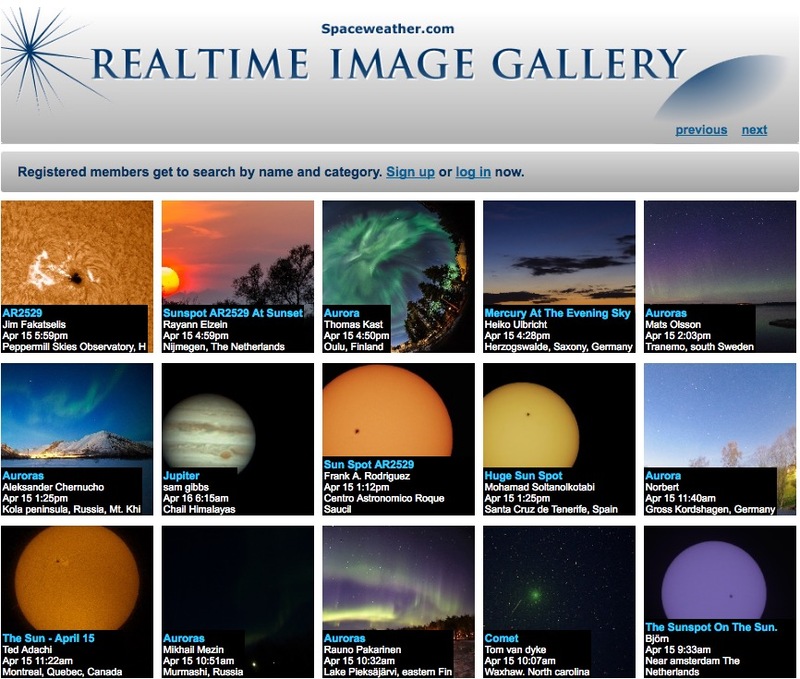 All images have been slightly modified to make them more easily viewed. They look best enlarged on a monitor screen. You might not see anything on a phone or tablet. This morning presented with another clear sky. Movement of the Moon toward the Sun was obvious. 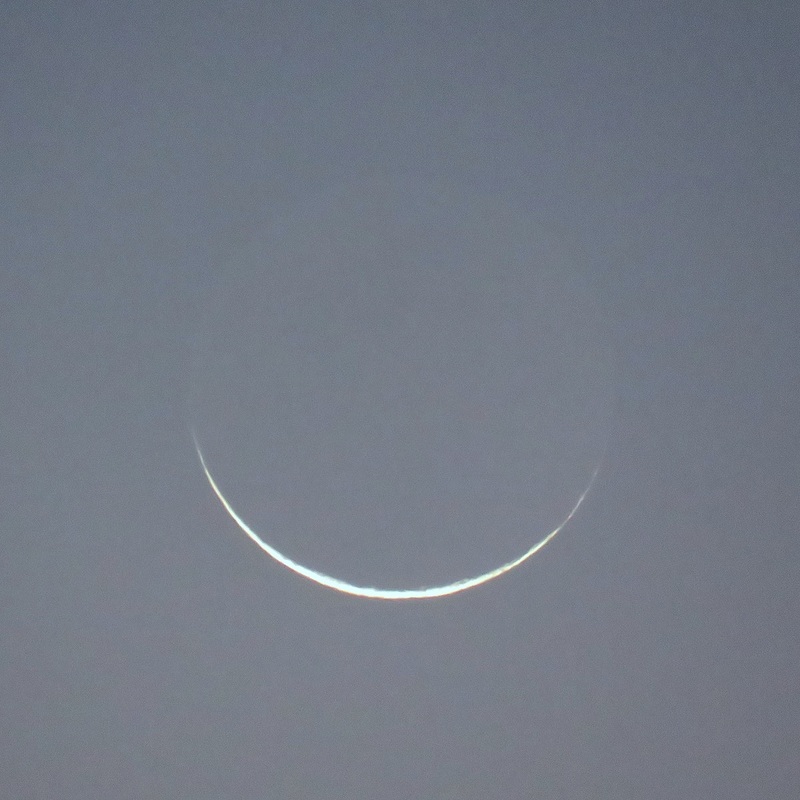 It was a thinner crescent and directly below Venus today. The sky was hazy and a different color today. See the end of this post for the views yesterday. The Moon is slowly making its way to the east for its date with the Sun. Today is 3 days before eclipse. 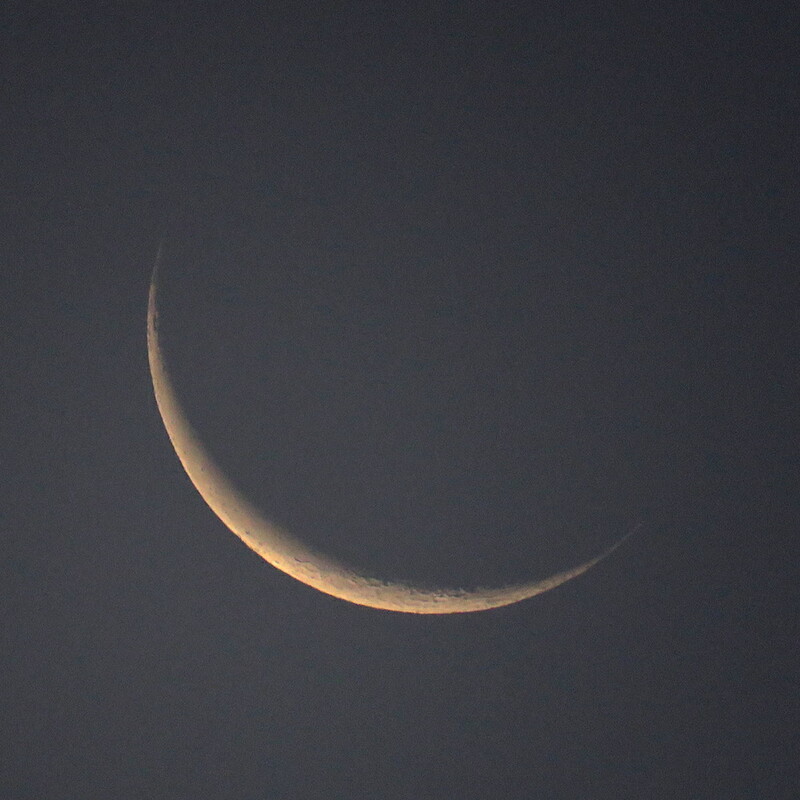 At 5:58 am, well before sunrise, the waning crescent was high in the eastern sky not far from Venus. Our plan is to drive south into central Missouri with our daughter and two grandchildren. It will be fun to share this unique experience with them. News reports show traffic is already a problem in some areas as people position themselves for their best views. It should not be an issue for us.